As a freelancer, I have worked with web designers on many different types of web projects over the years. I can custom code your website, modify open source solutions or help integrate a commercial application that will best suit your needs. 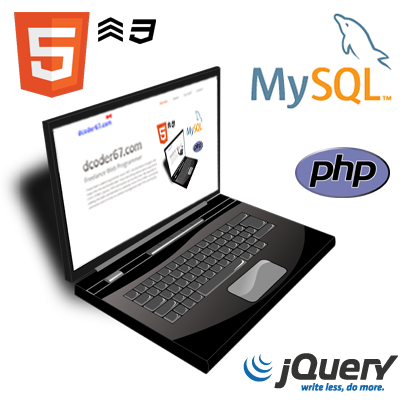 My web dev toolbox includes PHP, MySQL, HTML5, CSS3 and jQuery. All of my developments are designed with cross-browser consistency. A web site is only as good as its content. People have come to expect that web sites have current information and that the site works. I offer web site maintenance services to keep your site up-to-date. I also offer debugging services. The web is in a constant state of change, as such sometimes it happens that code on your site breaks down. I can help. Many people aren't sure what they want or need from a web site beyond knowing that they "need one." I provide consulting to answer any questions you have about the process of building a web site. I can show you what is out there in open source and commercial web solutions. I can answer questions you have regarding search engine optimization, hosting and domain registrations. When I build a website, I design it with search engines in mind. I offer consulting services to improve your site's visibility to search engines and then if you wish, ongoing maintenance services. The majority of web development that I do uses PHP coding as its core. PHP is robust and flexible. All of my content management development is done using PHP programming. MySQL is the most common database package on the web. Most web hosting companies offer it as a free service with youur web hosting package. All of the database development I do is developed in MySQL. PHP and MySQL are the nuts and bolts of a good content management site, but HTML5 and CSS3 provide the finish to really make a web site shine. Where we use to rely on expensive programs like Flash to generate web site animation, now we can do it with HTML5 and CSS3. It has created a whole new experience for the web surfer and opened the doors to so much potential for web developers. Tell me what you are after and I can make the magic happen. My name is Dianne Mead. I have been a freelance web programmer since 1997, starting shortly before Google's first steps into the World Wide Web. I am trained as a database developer. I love everything about web programming. CSS3, HTML5, jQuery, PHP and MySQL are my favorites. I have worked on many different types of web projects. My specialty is adding the bells and whistles to a website, from CSS3, HTML5 and jQuery for animation and UI tricks to content management with PHP and MySQL. After working with many flavours of databases, MySQL is my database of choice for web based applications (and local intranet apps too). I prefer code clean and well documented. Where possible I recommend and use open source software as opposed to proprietary code. I am always looking for new ideas. The greatest thing for me about web development is that it is ever changing. There are constantly new developments in the code, allowing us to seemingly create magic on sites for our clients. The web has become a medium in which we are no longer limited creatively. What we can do is only limited by what we know how to do. Neat code to add to your site! There is always new code to test and wow about on the net. Here are some of my favorite sites.